At Suburban Landscaping, we listen carefully to fully understand your individual needs when it comes to your home’s landscape maintenance. Our residential lawn care specialists will work with you to develop a lawn maintenance program that addresses the conditions specific to your home as well as your personal preferences. 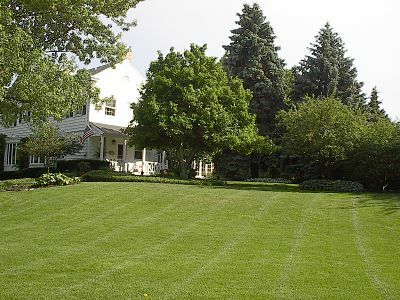 Since 1984, our high-quality, professional service has made us the Chicagoland leader in residential lawn care. With our experienced and reliable staff, you’ll have the peace of mind of knowing that your yard and property will always look its best. Our trained, uniformed crews provide regularly scheduled lawn maintenance services to our customers on a weekly basis, insuring that your lawn will be mowed at the proper height every week. This creates a healthy, uniform, manicured turf that is beautiful to look at and comfortable for your outdoor activities. Our residential maintenance team, led since 1989 by Division Manager Jim Propst, is flush with experienced, knowledgeable veterans of the landscape maintenance profession, and they are ready to serve you today. Each crew is specially trained to perform just the tasks they are assigned, all day, every day, all year. The mowing crews are experts at mowing your lawn, the fertilizing crews are experts at fertilization, and the weeding crews are trained exclusively to remove weeds from your landscape beds. We pride ourselves on our highly trained account managers and crew members to individually assess your home’s landscape each visit and provide the necessary service to maintain one of your largest assets. Alternate Cutting Direction - Each week we will change the direction of the cut to prevent rutting of the lawn and compacting of the soil. Full Turf Mowing – We’ll use our state-of-the-art mowing equipment to mow your lawn to its ideal height. Our mowing equipment is designed and maintained to produce a clean, even cut to keep your lawn healthy and beautiful. Trim around Obstacles and Landscape Features – We’ll use string trimmers and other specialized tools to carefully trim your lawn, preventing unsightly and scraggly grass growth. Edge Lawn Borders – We carefully edge your lawn around walks, driveways, and all other borders of the turf. Blow Debris from Walks and Driveways – Using our powerful, quiet blowers, we will completely remove any lawn and other debris from these areas. Remove All Trimmings and Debris – We leave nothing behind but perfectly cut and trimmed lawns. 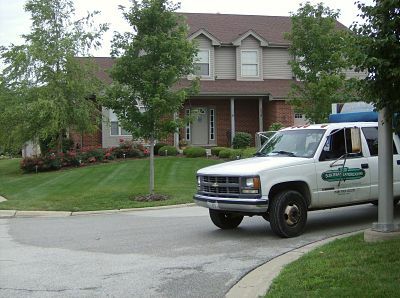 Consult with You as Needed – If our crews notice any developing conditions with your lawn, your account manager will consult with you and advise you of needed watering schedule changes or suggestions for dealing with new concerns. All of Suburban Landscapings employees take professionalism very seriously. Every team member on your property will be in uniform and all of our trucks display our company name. We work efficiently and as quietly and unobtrusively as possible. We treat our customers with courtesy and respect their privacy at all times. We always remember that your satisfaction in having a beautiful, well-groomed lawn is our top priority, and treat your lawn as if it was our own. Do you have elderly relatives or others who need help with lawn care? Why not give our services as a gift to your loved ones? We’ll be happy to set up a plan to relieve both you and the recipient of any worries about these needs. We can service your loved ones residence and we'll mail the monthly bill to your residence, it's that easy. How Much Does Lawn Maintenance Cost? Prices for residential lawn maintenance start at $25 per visit and rises according to your lawn size. For more information on pricing, visit our example pricing page. Also visit our Monthly Service page to see details about our Full Service Program. 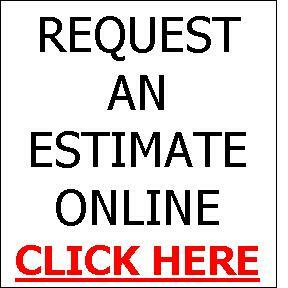 Call us today for a free, no-obligation lawn evaluation and service price quote. Let us show you how we can help you create and maintain a great lawn and yard.